Continuing our series on concert fan contests, here’s news about how Pitchfork Media and DonQ Rum have teamed up to test your indie-rock and pop music knowledge, and see how well you can write a concert review, all for a chance to win spirits and stuff! 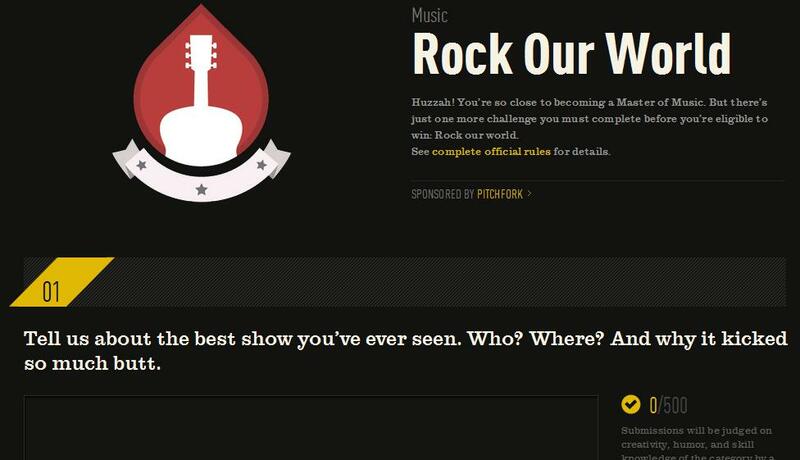 I was cruising around Pitchfork’s site recently and was drawn in by an enticing ad to test my indie rock knowledge and my ability to write about my favorite concert experience. I was unable to deny the urge and curiosity, so I clicked on the ad and dove in. I got several answers right (without going to the Pitchfork site or going to Google for answers I might add, so so proud of myself) as I unlocked the first three levels. I’m not that into drinking rum, but nonetheless I had a great time escaping into the game’s fun music trivia pop-quiz diversion. And what was most exciting was that after I unlocked various stages answering questions about The Arcade Fire, LCD Sound System and others, I was presented with the opportunity to write about my favorite concert experience (as noted below), and then click submit for the judges to rate my concert review. 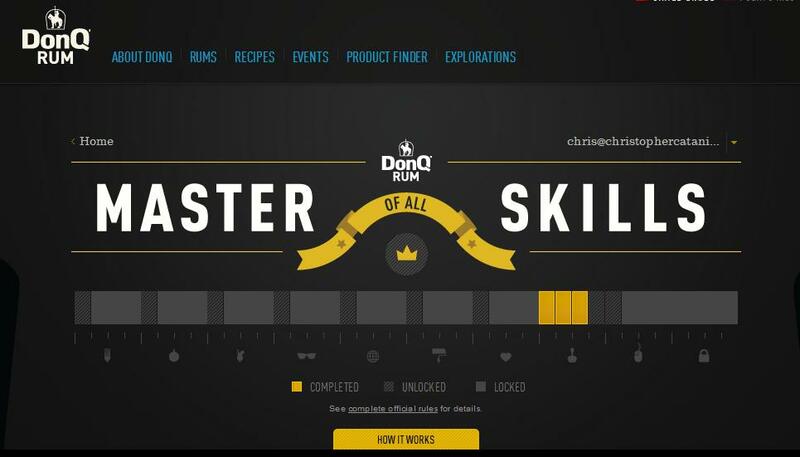 Like many advertisements and interactive experiences, this one is engaging and fun to play, but it doesn’t make me want to go buy DonQ rum. It’s not as cool as AXE’s or Scion‘s contest, but it still does do a decent job associating the thrill of live music and obsessiveness of indie-rock fans with the DonQ brand. So maybe the next time you’re thirsty for a swig of rum at Pitchfork 2011 or you’re looking for a satisfying spirit at your next concert, you’ll toss back some DonQ. Or maybe this contest will get you to think twice about the connection between your taste buds and your last concert experience. So if you’re a fan of DonQ rum or not, I think you’ll have fun playing the game and putting your love of indie-rock and pop music to the test. If you play the game and submit your favorite concert moment, let us know what you think of the game. Go try it out, see what you can win, and drop a comment about your experience below.